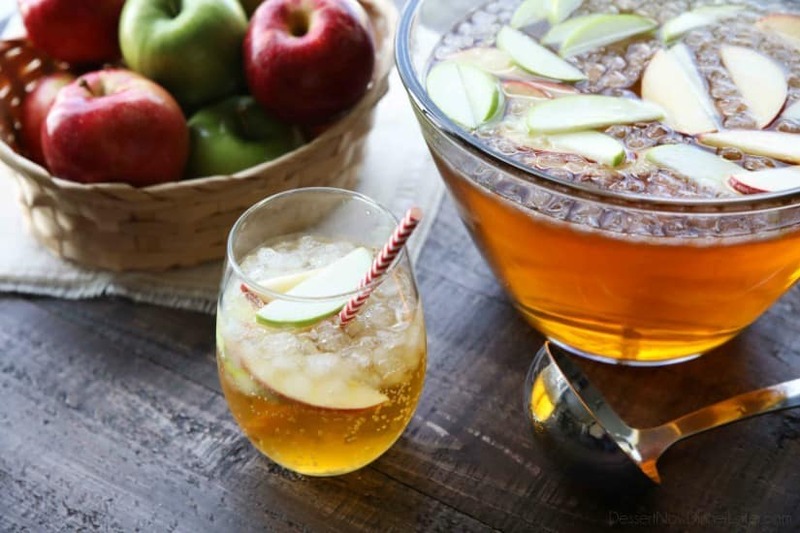 Sparkling Apple Cider (+ Video) - Dessert Now, Dinner Later! 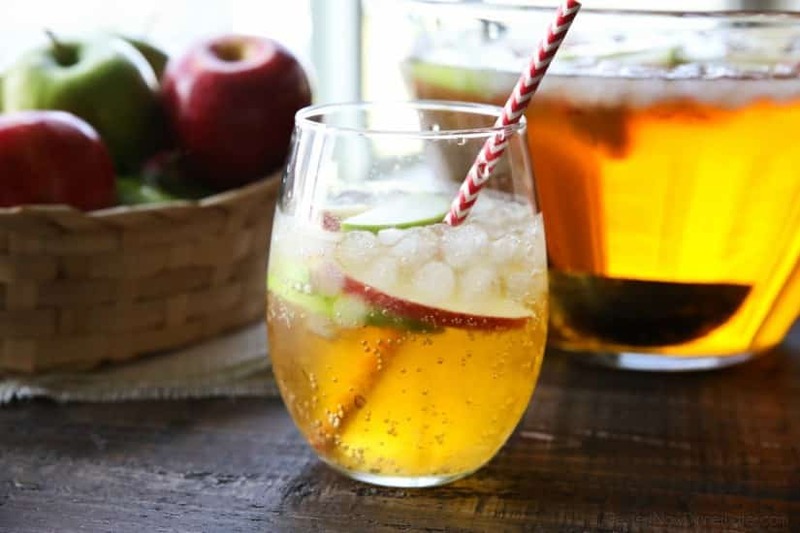 Homemade Sparkling Apple Cider tastes like Martinelli’s, and serves a crowd. It’s easy to make and cheap! 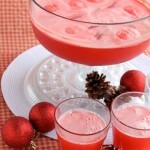 A great non-alcoholic drink for the holidays. 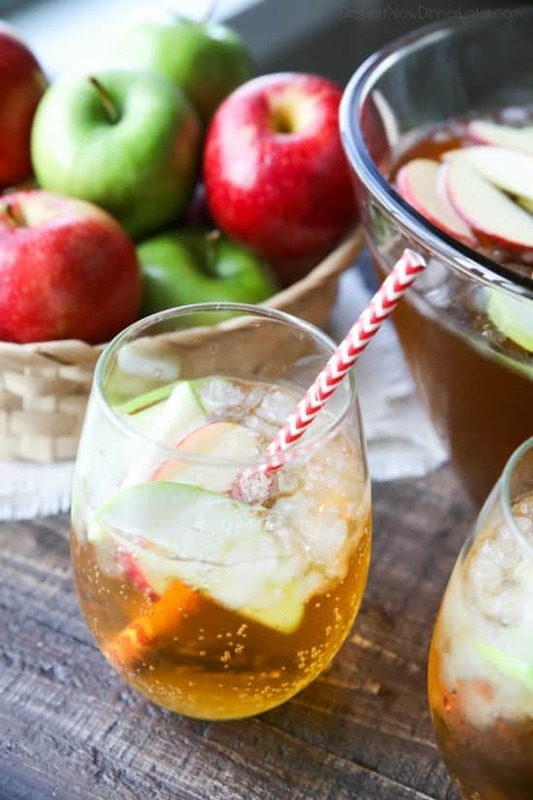 The holidays are rapidly approaching, and if there’s one thing at each and every holiday dinner for our family, it’s Martinelli’s Sparkling Apple Cider. We typically splurge and buy several bottles, because it’s the holidays, right? Well, I’ve made a knock-off version that tastes just as great and serves a crowd for about the same price as one bottle. No joke! Three ingredients and $3-$4 makes 107.6 oz of Sparkling Apple Cider, compared to a 25.4 oz bottle of Martinelli’s which is usually $2-$3 per bottle when I buy it from the store. You literally get 4x the amount of liquid gold for roughly the same price. Not only is it inexpensive (and easy) to make, it tastes great! 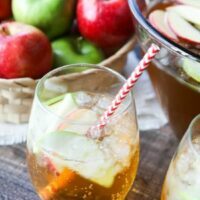 My kids seriously thought they were getting the real Martinelli’s when we made this Sparkling Apple Cider. I’ll be honest, sometimes we are stingy with our Martinelli’s when we buy the expensive bottles, haha. So the kids are thrilled that they can have more than one glass of this homemade version. 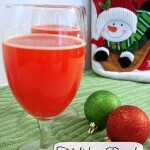 Everyone loves Sparkling Apple Cider for the holidays. 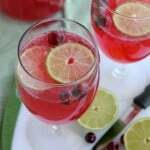 This homemade version will meet or exceed your expectations and save you some extra dollars. 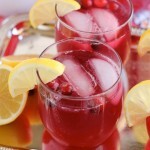 It makes a great family-friendly drink to toast in the New Year as well! I hope you love it as much as we do. Check out the video below to see just how easy it is to make! 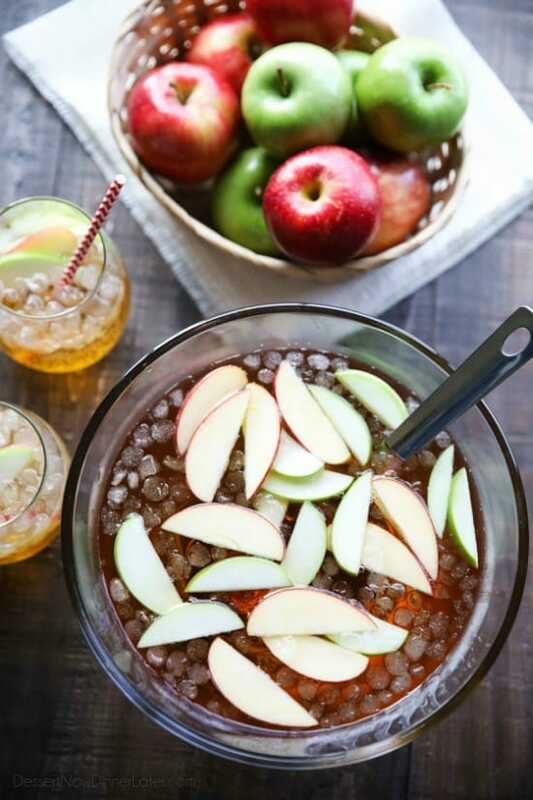 Combine all ingredients into a large punch bowl. Mix gently with a spoon, about four or five stirs to combine everything. Serve immediately. 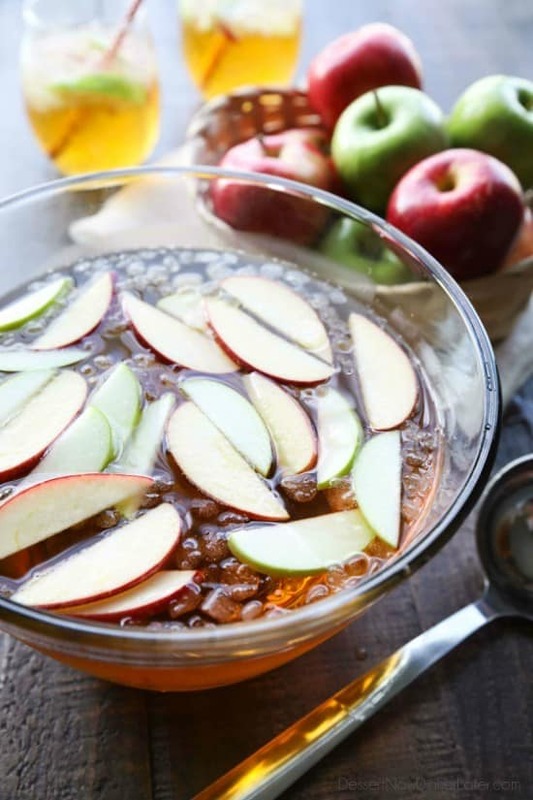 This homemade Sparkling Apple Cider recipe seems to be perfect. Thanks sharing this awesome recipe.